In my opinion, Colca Canyon is another must-see in Peru. It’s the deepest canyon in the world and is home to one of the largest birds in the world – the Condor. Colca Canyon is located several hours from Arequipa and Puno, two of the main tourist’s hubs in Southern Peru. I’d imagine you can travel independently to Colca Canyon using Peru’s bus system, but I think most tourists use a tour company to see the Canyon (myself included). You can arrange to either go on a two day tour to the canyon or a 3-4 day tour that includes hiking down into the canyon. In the interest of time, we decided to skip hiking the canyon. Colca Canyon is also located a very high altitude, so if you’ve only just ascended to that altitude and haven’t had time to acclimatize, I wouldn’t recommend hiking the canyon. Most of the Canyon tours leave out of Arequipa and then return back to Arequipa at the end of the two days. We left from Arequipa, but then paid a bit extra to catch a bus on to our next destination, which was Puno, instead of having to backtrack. There are lots of tour companies located in Arequipa that can arrange multi-day tours to the canyon for you. My one recommendation would be to wait until you get to Arequipa before booking one. 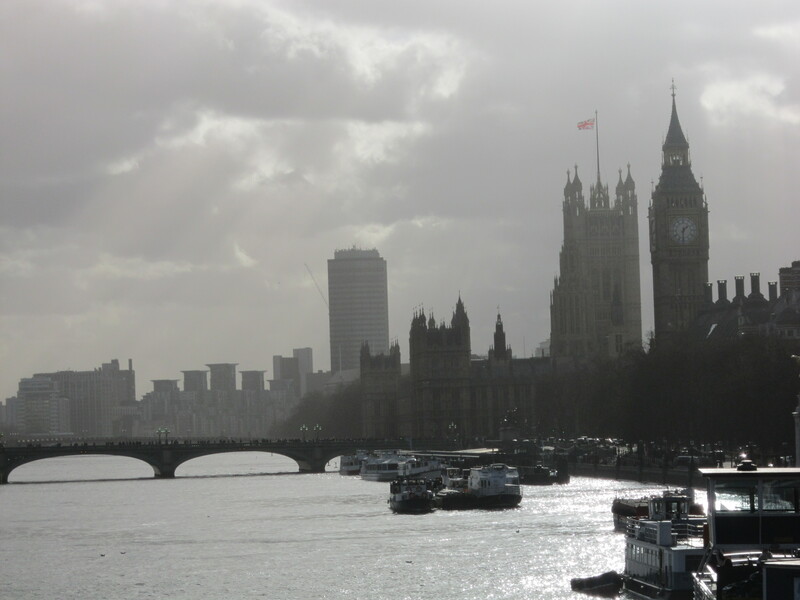 If you try and book one online in advance, you’ll end up paying way more then you should since only the higher end tour agencies have websites. 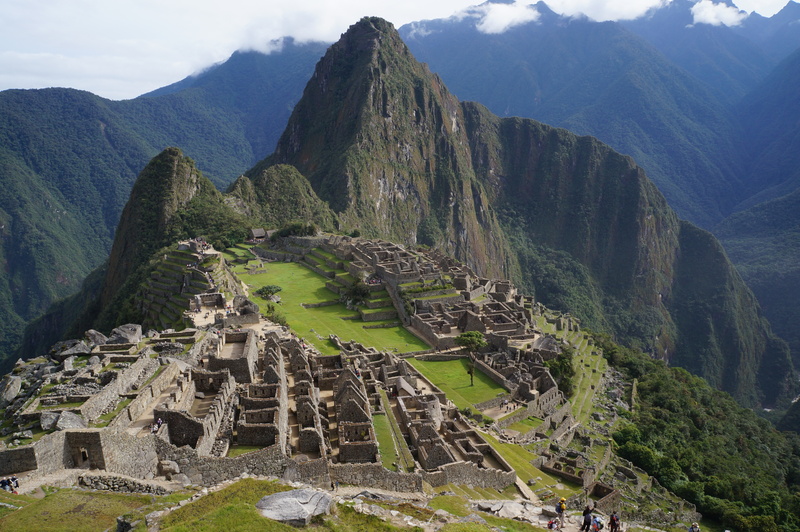 We ended up booking the tour directly through our hostel and saved a lot of money that way. The tours leave Arequipa, which is located at about 2400 masl (metres about sea level), and ascends up to an altitude of 4900 masl before settling at 3600 masl. Several hours are spent driving through Salinas y Aguada Blanca, which is a national park just for llamas and alpacas, so you’ll see lots of wildlife on the drive and have a great view of the mountains! The tour bus will arrive in Chivay around mid afternoon, which is the town base for most tours going to the canyon. It’s a nice little town located in the valley and our group spent the afternoon enjoying a hot spring and had dinner at a restaurant with local entertainment. On the second day we drove out to the Cruz del Condor, which is one of the most popular viewing stops for the canyon. We stopped several times on the way there to check out local markets and take pictures of the beautiful views. 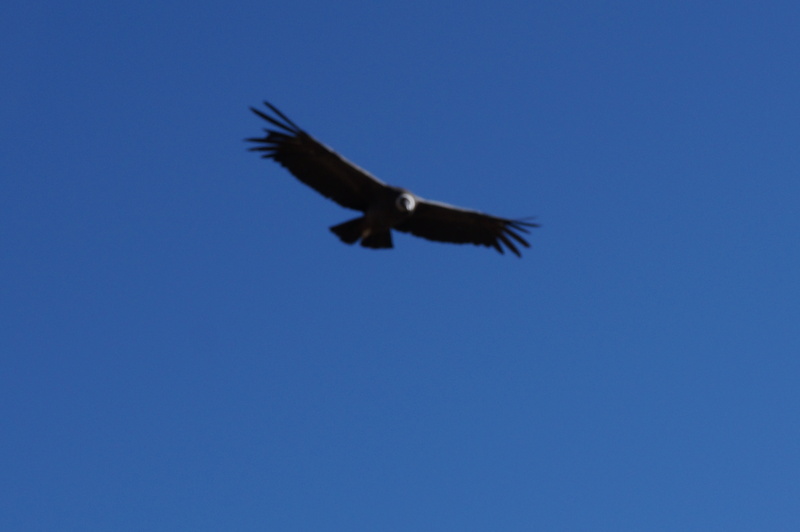 When we arrived at the viewpoint, our guide took us on an hour long walk along the canyon and we saw lots of condor flying around! The viewpoint is pretty incredible, but I didn’t find it any more amazing then the views on the drive there. The whole area is incredibly beautiful and the road follows the mountainside, so we were always looking down into the valley, which is just as picturesque. The trip does involve a lot of driving, which is why it would be nice to spend a bit more time there if you have it to spare. I did find the altitude challenging, so I’m glad we didn’t hike it, but I’ve heard the bottom of the canyon is a beautiful oasis. There are buses from Chivay that go to Arequipa and Puno, so it’s easy to continue on from there if you don’t want to backtrack to where you started. 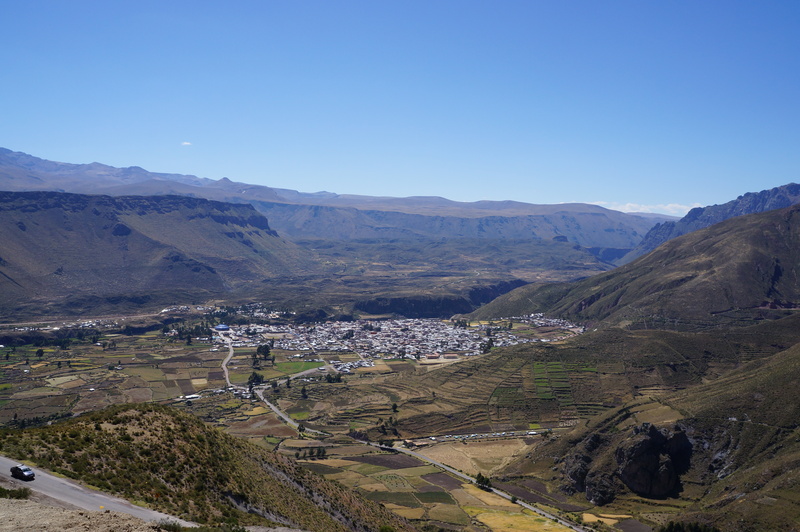 You can read my blog post about Colca Canyon here.